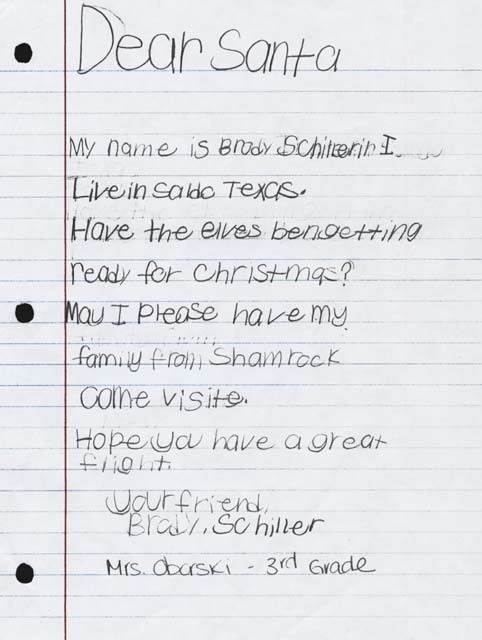 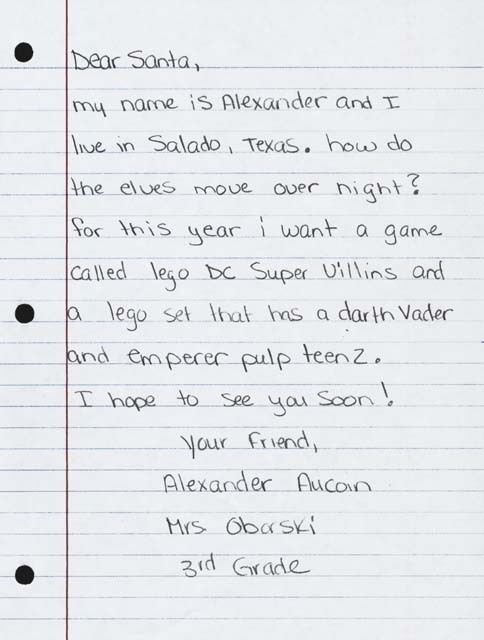 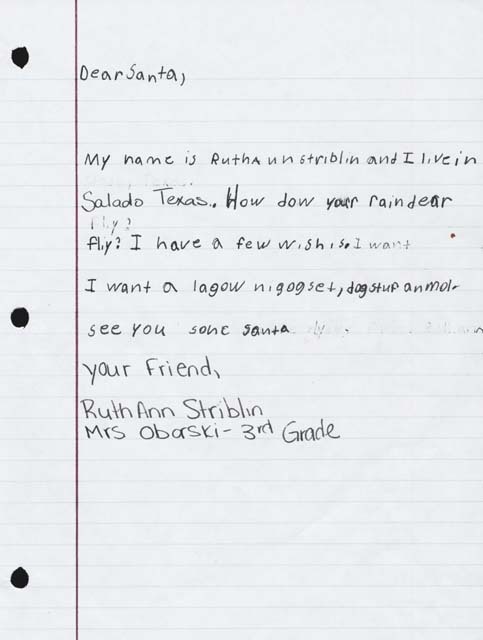 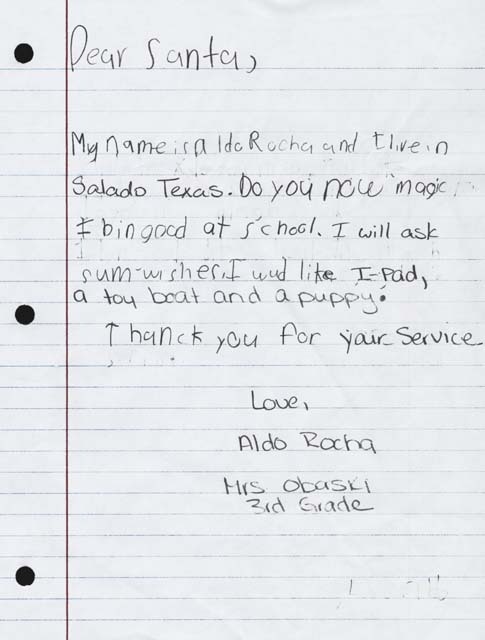 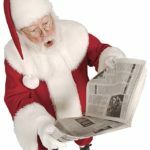 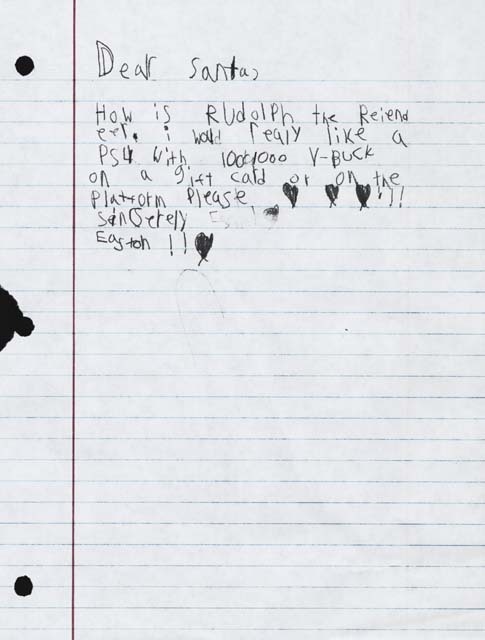 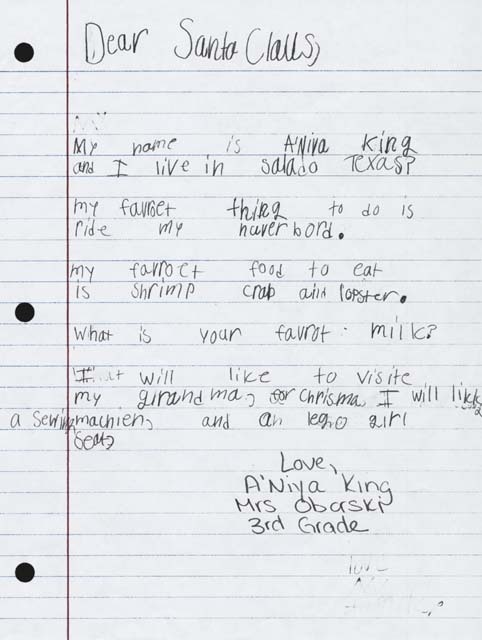 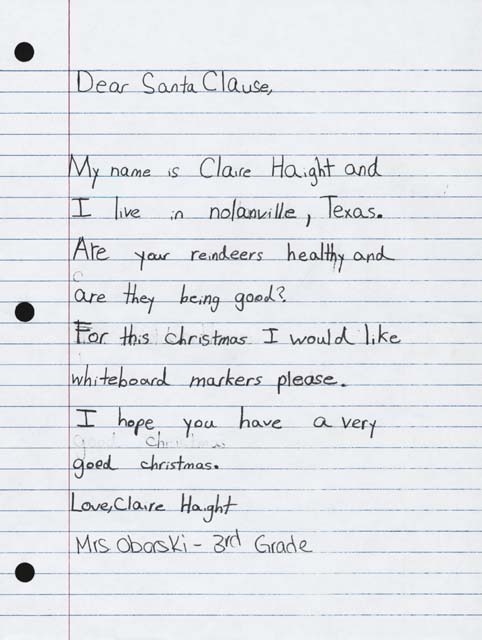 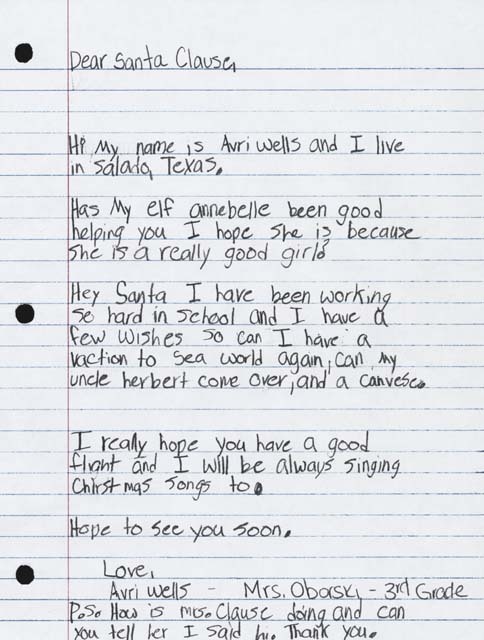 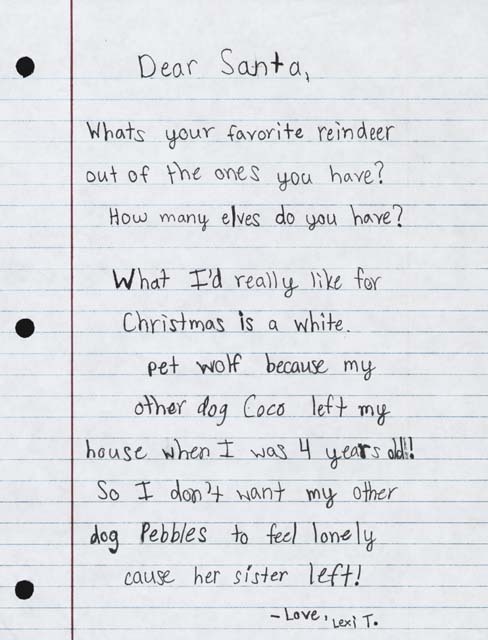 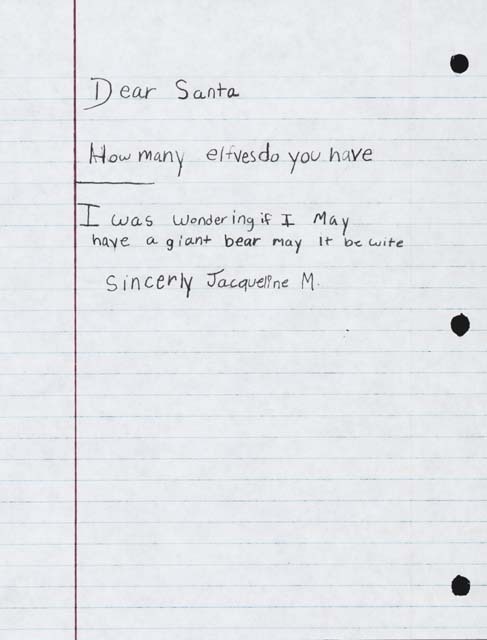 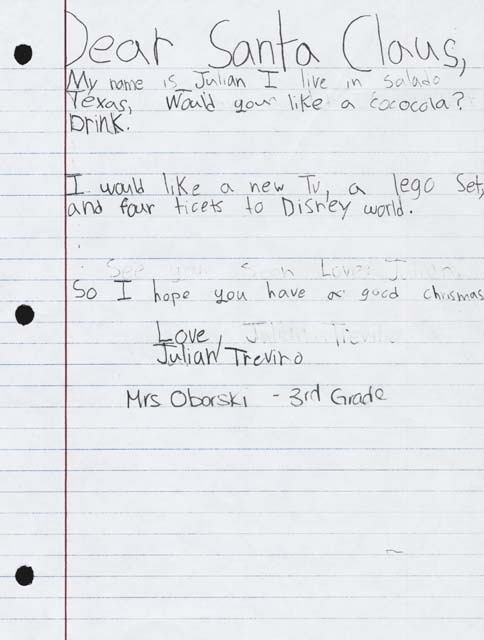 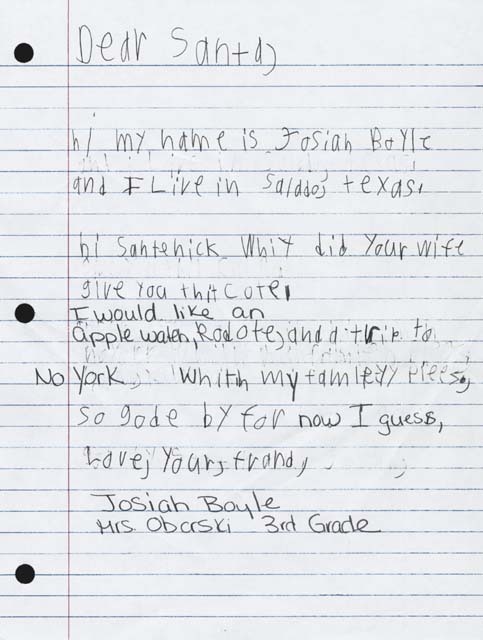 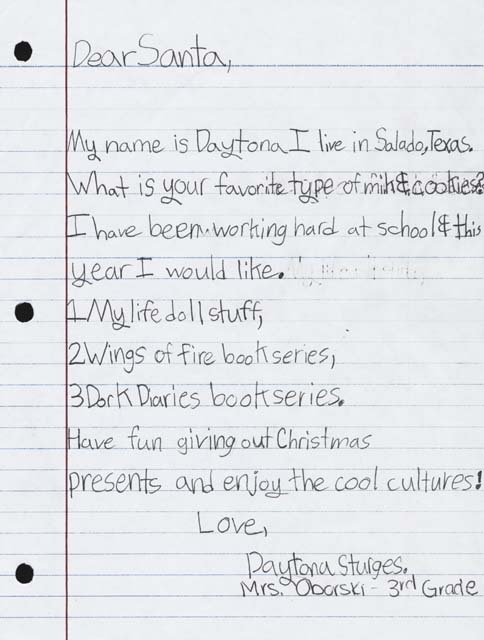 Every year, Salado Village Voice prints Letters to Santa Claus, written by SISD Third Graders. 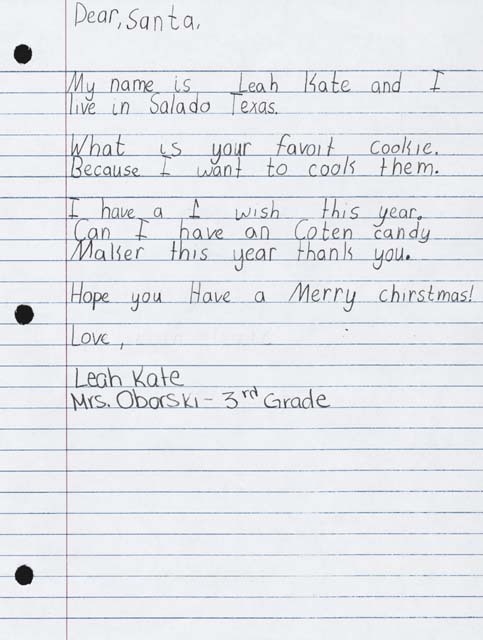 This week we feature Mrs. Oborski’s and Mrs. Lewis’ classes and will continue each week through Dec. 20. 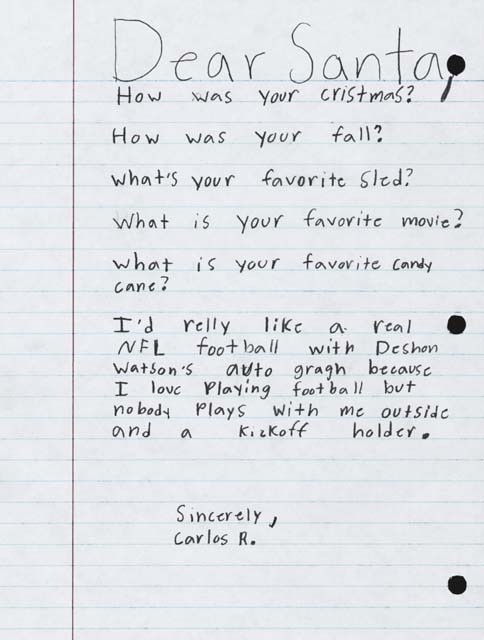 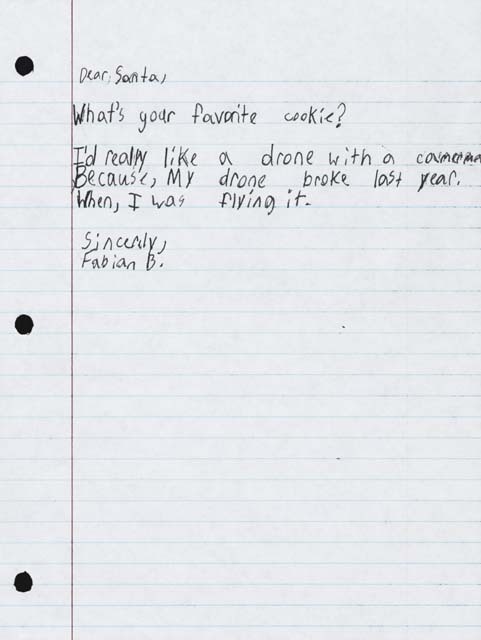 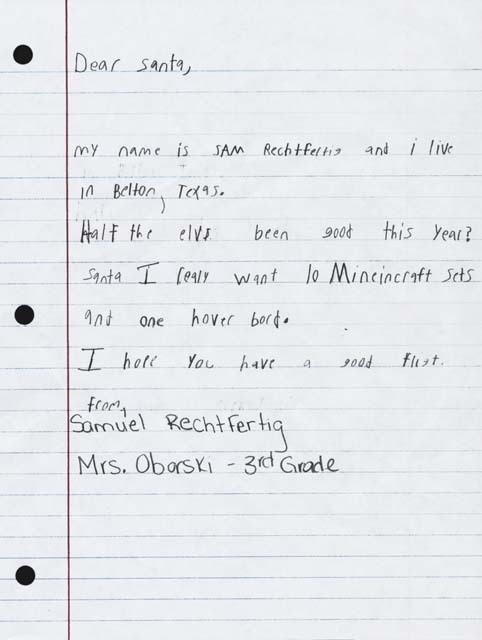 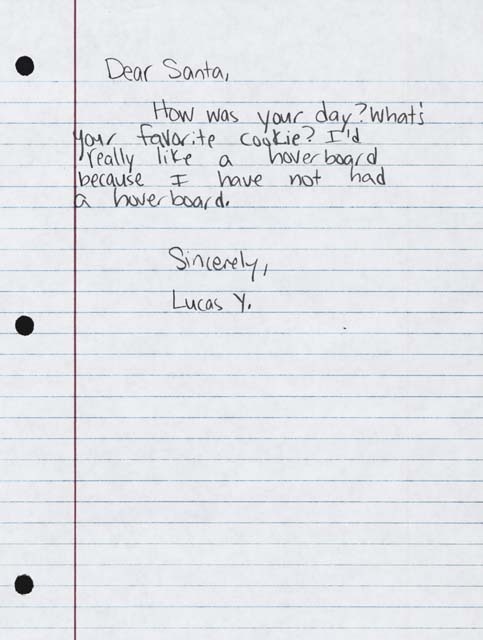 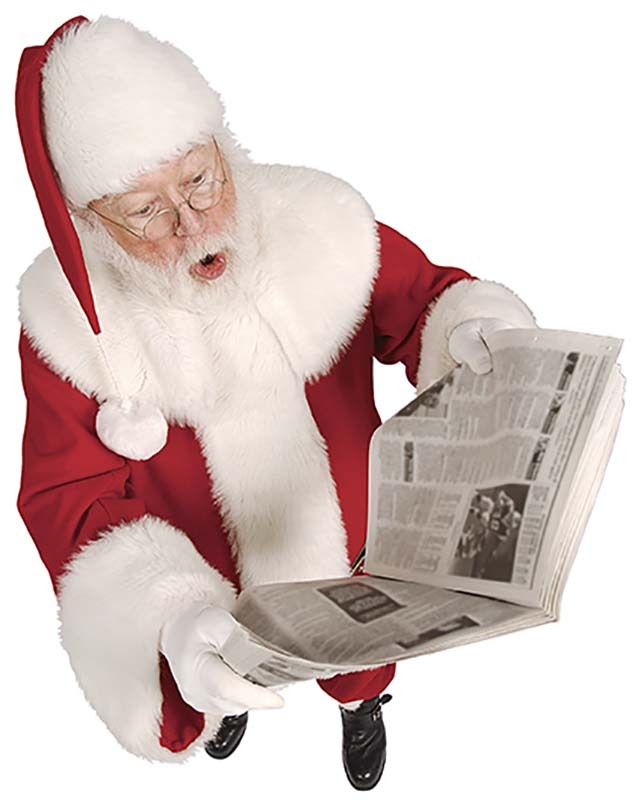 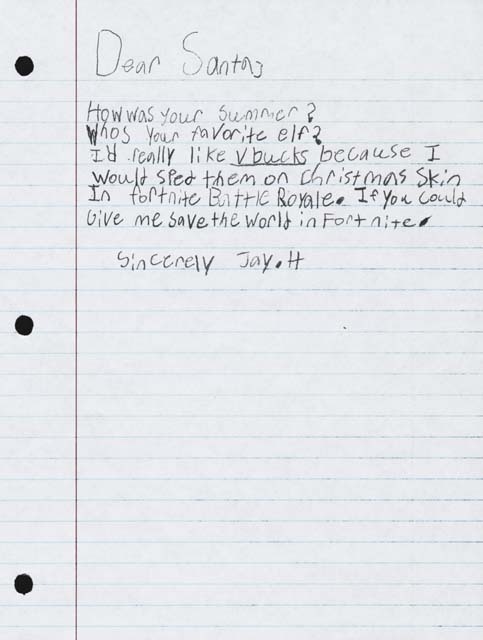 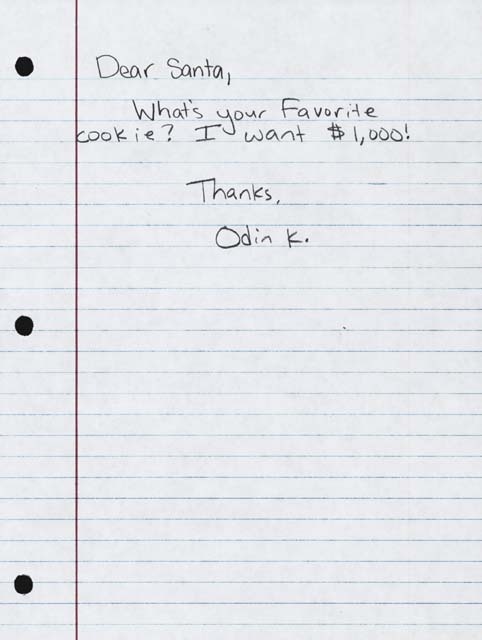 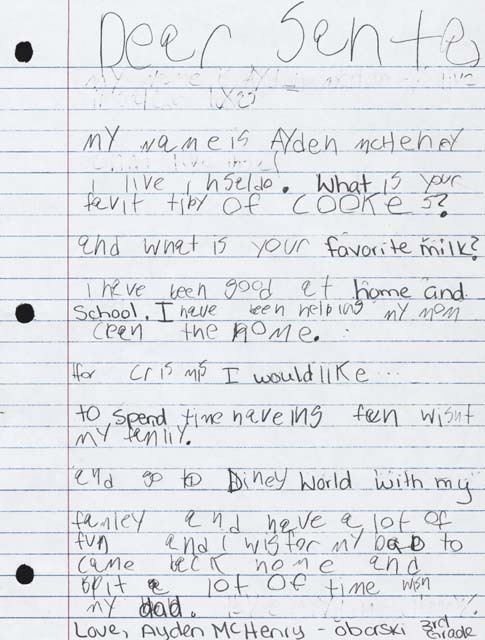 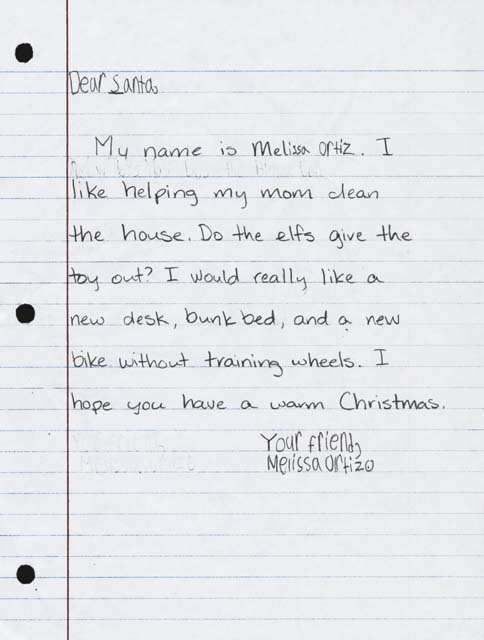 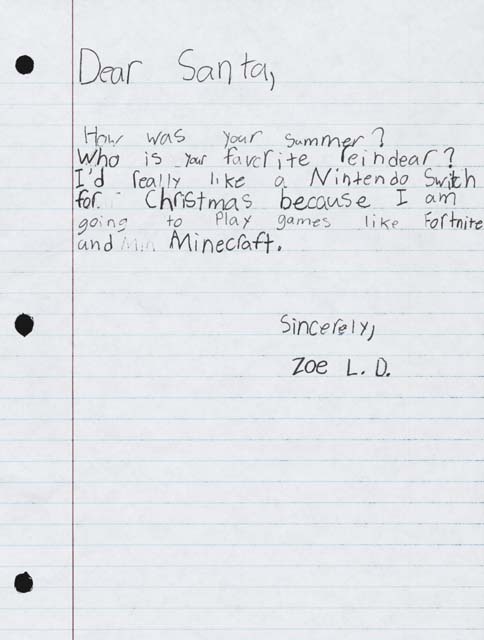 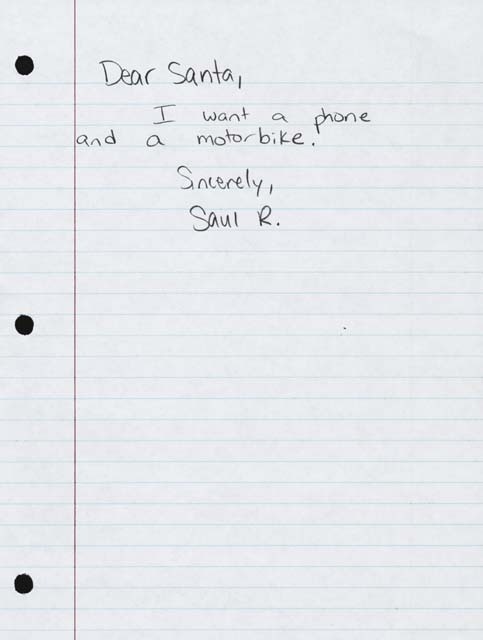 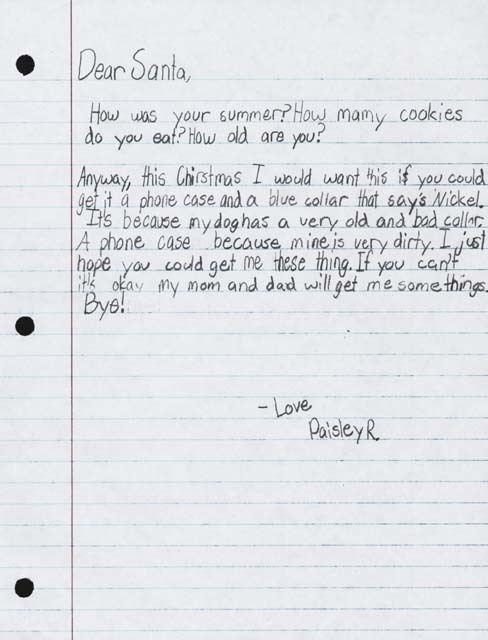 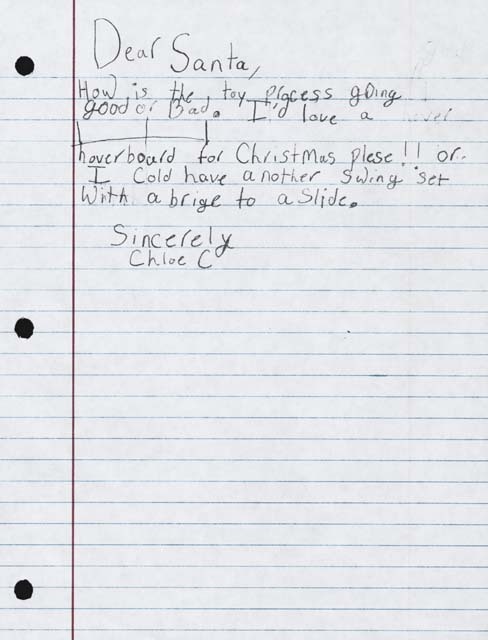 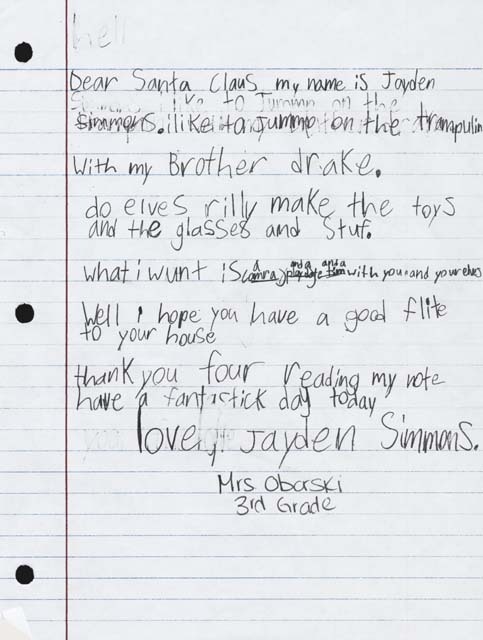 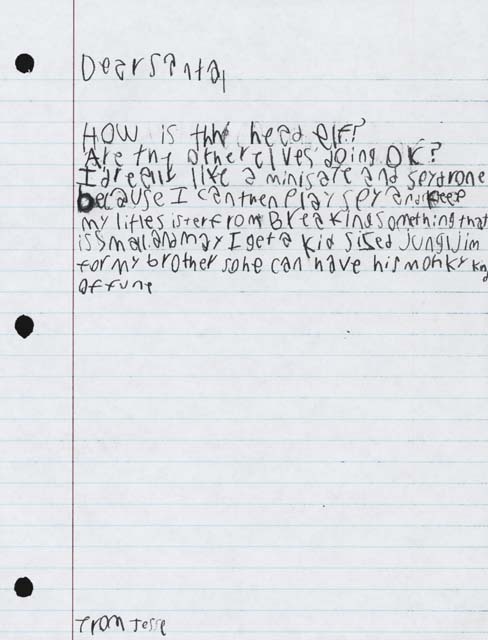 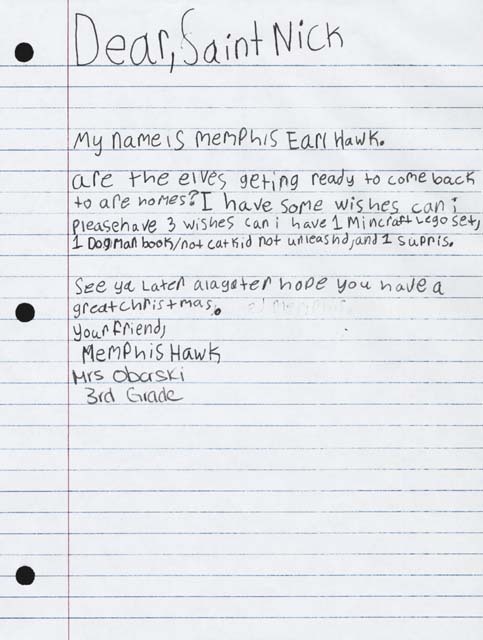 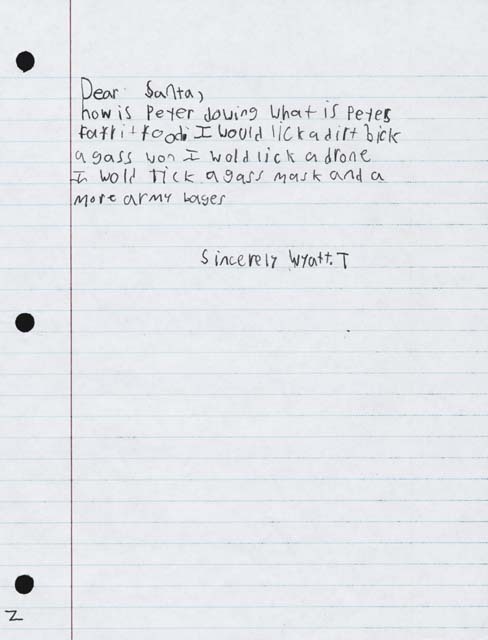 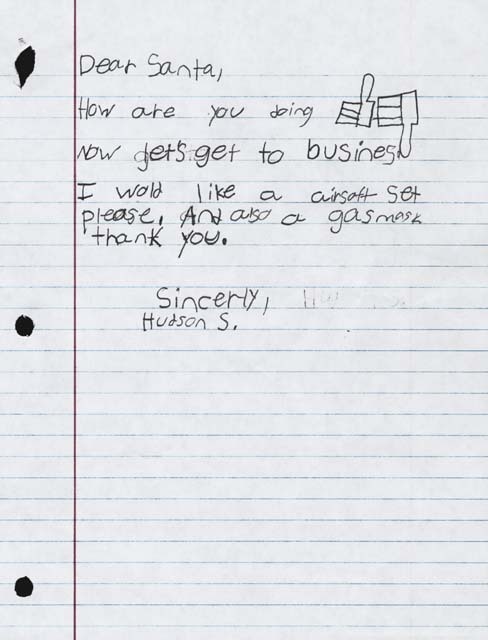 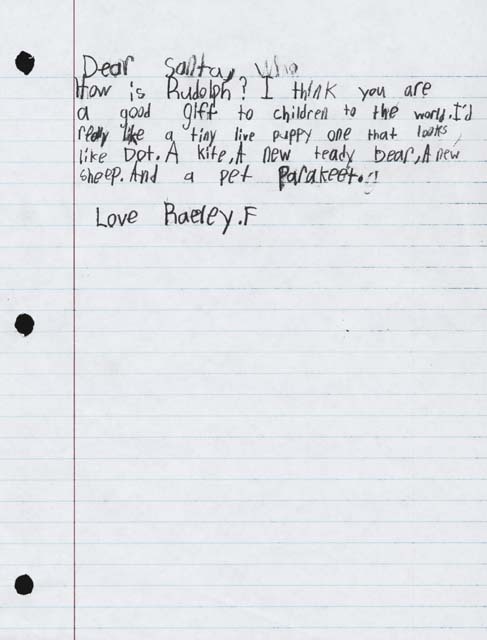 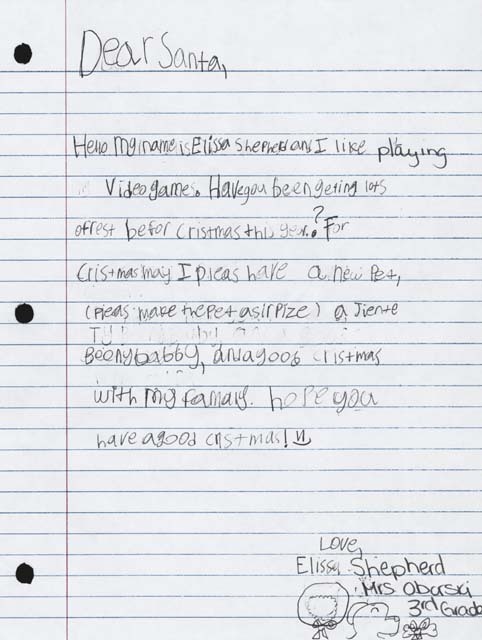 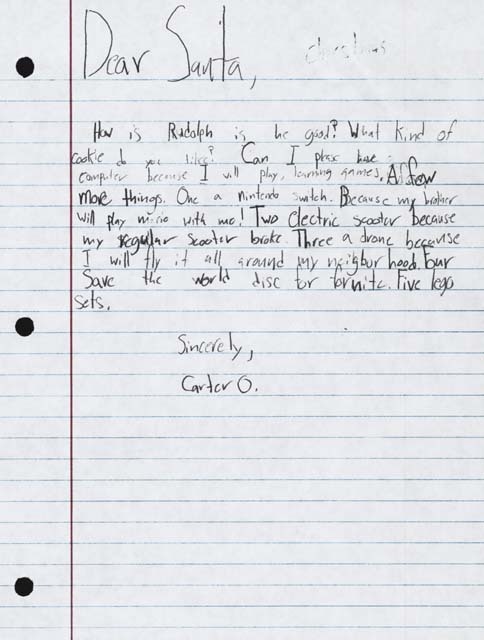 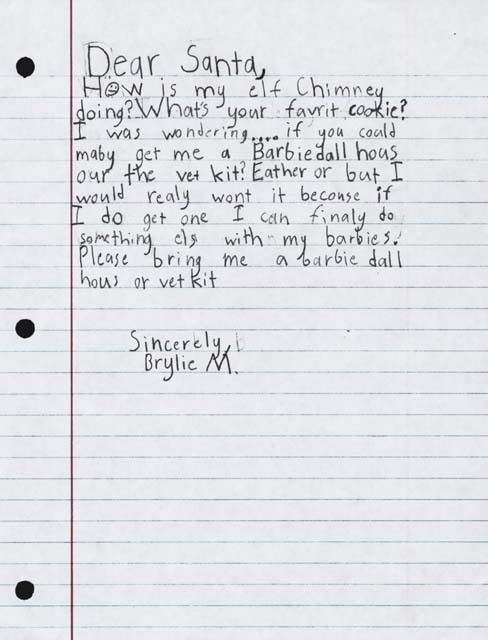 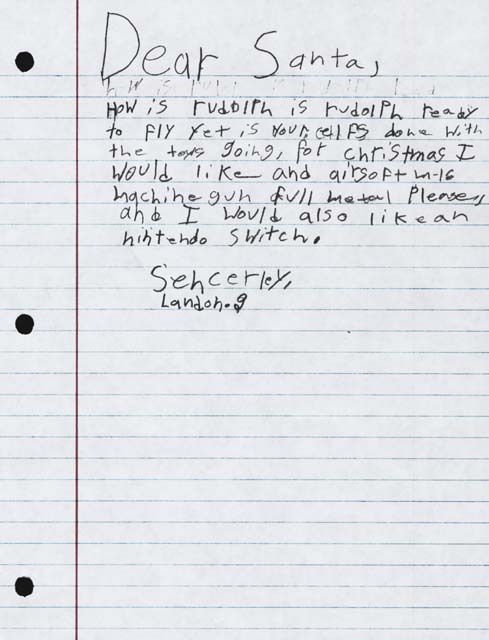 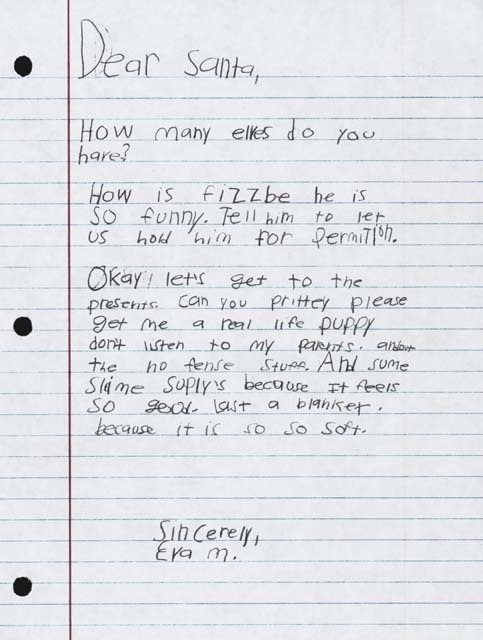 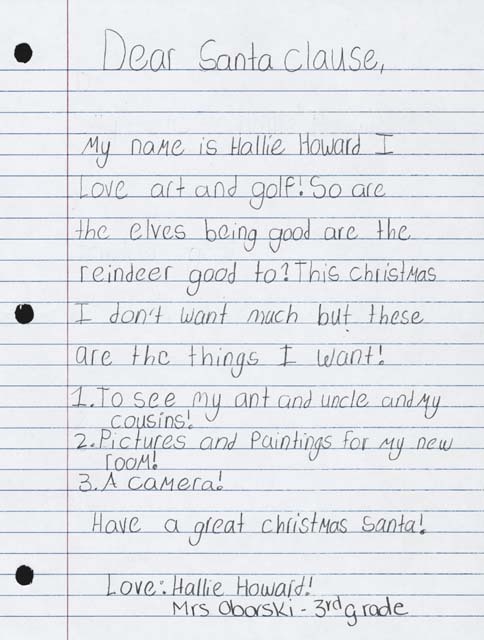 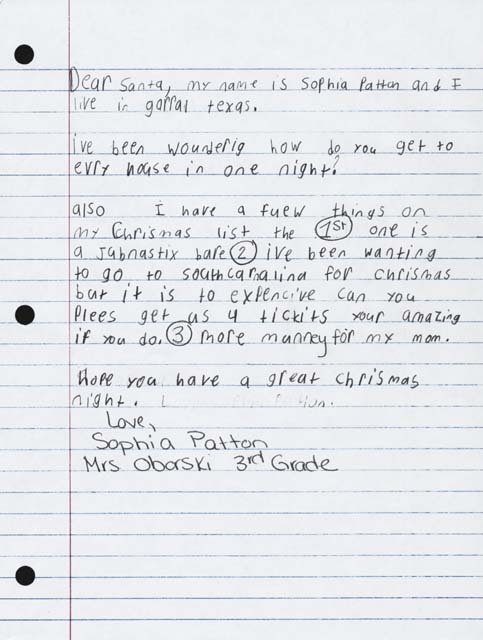 We hope you enjoy and that your third grader’s Letter to Santa Claus finds its way into your scrapbooks! 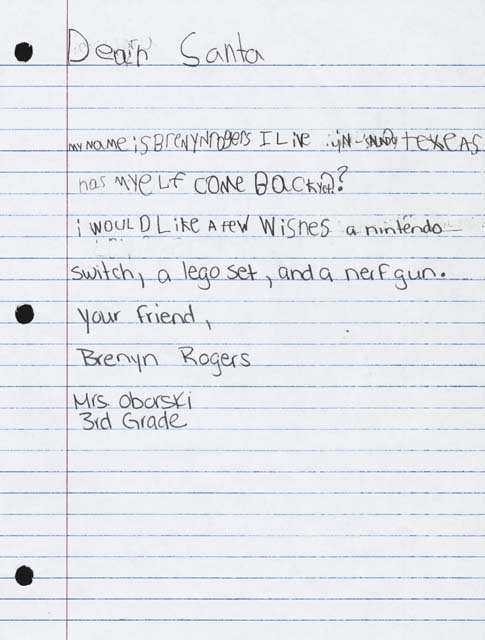 Be sure to visit to see the letters in their own hand-writing.